You are here: Home » Why has anti-smart growth sentiment bypassed Stockton? When I moved back to work in Stockton earlier this year, I expected some resistance to the smart growth policies I advocated for. In most other California cities, there has been some serious push back against sensible planning and walkability. So, I came back to Stockton fully prepared to defend these ideas at planning meetings and general plan workshops in order to lobby for a better Stockton. But a funny thing happened: There’s been no opposition to smart growth, no railing against better transportation options, no heated rhetoric about emissions standards. To the contrary, every meeting and public forum I’ve attended suggests that Stocktonians are fully on board with smart growth principles. But how did this happen when other areas of the state have seen much harder battles? Are Stocktonians really that much more progressive when it comes to planning? Or could it be that we are simply apathetic to our built environment? Around California, smart growth plans are certainly taking hold, but opponents of these policies are making themselves heard. In the Bay Area, that region’s smart growth plan—known as Plan Bay Area– was met with fierce and vocal opposition earlier this year. While the plan was eventually approved, public meetings were routinely marred by the jeers of those opposed to higher densities and more practical planning practices. 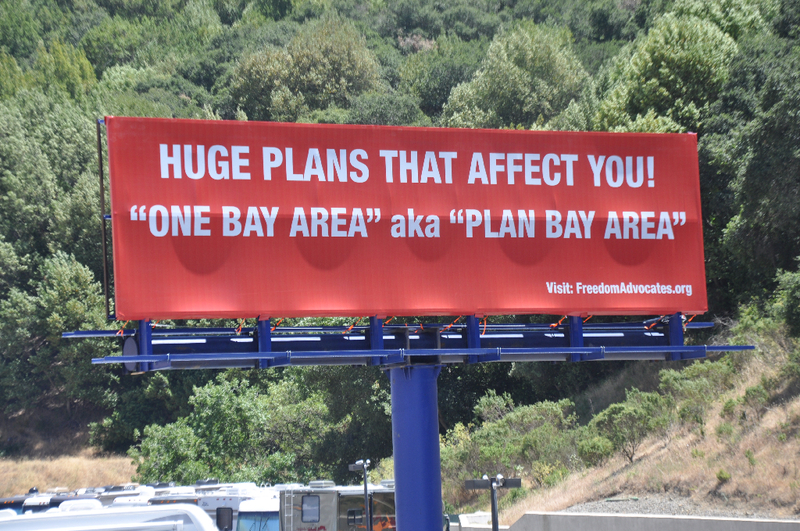 In fact, you can see billboards along I-580 deriding Plan Bay Area as a conspiracy to seize private property and cram people into “stack and pack” communities against their will. This, in the region that is considered to be the most progressive-minded in California. Even closer to home in smaller communities, we’ve seen cries against smart growth, such as when a reasonable column on walkability from the Tracy Press was attacked by commenters tying the article to Agenda 21. A similar scene played out in Lodi in recent years when a climate action plan grant was opposed by individuals claiming the grant was a veiled attempt to curtail their constitutional rights. Clearly, in cities big and small, the path to smarter growth policies has not been devoid of obstacles from some members of the dissenting public. Stockton has seen the adoption of a new, progressive-minded transportation plan (SJCOG’s Sustainable Communities Strategy), the approval of a Climate Action Plan, and the start of a General Plan update all in the same year with nary a peep of opposition. In fact, comments at public meetings for these planning documents have been overwhelmingly in favor of walkability, complete communities and a diminishing focus on auto-oriented development. The only real opposition has come from the Builders Industry Association, which is always to be expected given their preference for more sprawling-development policies. By and large, residents in the Stockton region have been supportive of sensible land-use and transportation policies and programs. While Fresno struggled to adopt a BRT line, facing stiff anti-growth opposition, Stockton’s BRT system has been successfully running for years now and has expanded to three lines. While Bay Area proponents of walkability and reduced carbon footprints faced downright nasty public meetings, Stockton easily passed a Climate Action Plan that aims to reduce the city’s emissions. For whatever reason, the antagonism towards smart growth that’s present in other cities big and small has never materialized in Stockton. The question is: Why not? Are Stocktonians actually more progressive minded than Bay Area residents when it comes to land use planning? Have we been scarred by so much poor planning that we are actually quite forward thinking about transportation and walkability? I would like to say yes. Because of what we’ve been through with bankruptcy, Stocktonians might be more open to new strategies for revitalization, even if it conflicts with the status quo. We’ve seen the damage that sprawling development and auto-oriented neighborhoods can have on a city and its people, so we’re willing to embrace change. But it could also be apathy. Maybe Stocktonians and San Joaquinians are just not interested in raising a stink over technical processes such as general plan updates and regional transportation plans. It could be just as likely that we simply don’t care about land use planning. Crime rates are high and unemployment is still at unacceptable levels, who has the time or energy to complain about the installation of a roundabout? Stocktonians do care about better planning. Comments received so far during the General Plan update prove it, even if these meetings haven’t been standing-room only. For some reason, opponents of such forward-thinking policies just don’t seem to show up here. Instead, we’ve seen wave after wave of support from citizens and advocacy groups. The real test will come in the next year. 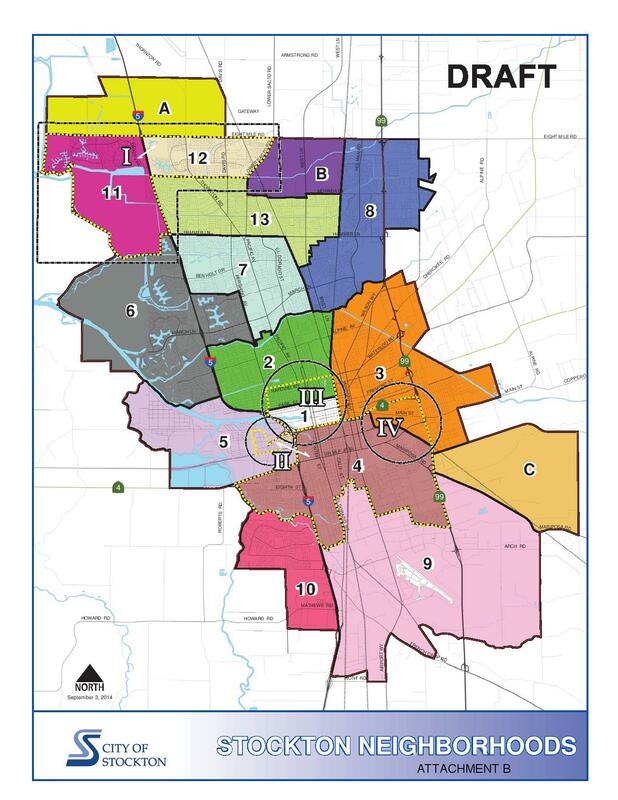 With the city in the midst of a general plan update, it remains to be seen if citizens will show up and voice their opinions on how the planning commission decides to allow—or not allow- growth in the city of Stockton. Recently released maps with the commission’s current sphere of influence preferences show the city limits curiously extending north of Eight Mile Road into unincorporated county land. If my rosy hypothesis is correct, then Stocktonians will show up in force against any more outward expansion. Don’t let me down, Stockton! These are very interesting questions to contemplate, David. Perhaps in the case of San Francisco, though extremely progressive, may have to do with its already built environment and high densification which opponents to Smart Growth may want a moratorium on any further increase in density and over-population that is overstressing the tolerance of current infrastructure and limited land use sensibilities, and may further erode quality of life, in the opponents’ perceptions. In the other cases the opposition appears more politically driven, perceiving Agenda 21 as another intrusion tool of the U.N. into the Nation State and autonomy of American Civil Liberties regarding private land use and lifestyle dictations to live a certain way against their desired will, in their perception. As for Stockton’s positive reception to Smart Growth, perhaps it has more to do with the lack of densification and the opportunity for community participatory involvement to mold the environment into a mutually better lifestyle ideal and economic vibrancy, where it is perceived that Stockton is ripe to be a working environmental lab to try these new things, community bridging, infill mixed-use design development, walkability strategic designs, and so on. It’s like Stockton has nothing to lose, since nothing else is being offered but the business as usual approach. Also, I think a contributing factor may be historical, the prior decades of the negligence of Stockton in terms of good planning (or its ill-planning) by visionless municipal oligarchs to haphazardly throw up isolated and insulated neighborhoods, major streets dead-ending to nowhere, a web of tangled and incongruent thoroughfares where getting from point A to point B takes twice as long than what a straight line would have achieved, and just plain nutty decisions (case in point: the 1961 tragic demolition of Stockton’s incredible piece de résistance, the 1890 magnificent Neo Classic courthouse (that could have been refurbished into a world class cultural arts museum) and its replacement with a bland mundane box of characterless minimalism [that was torn down 50 years later anyway], as well as years and years of demolishing historical structures to build, of all things, parking lots). At the very least with Smart Growth now Stocktonians can alas say, “This is what we want, how we want it, and where we want it.” And that’s empowering for a community’s collective pride and future. Spanos has already used our Measure K money to widen (to six lanes) Eight Mile Road over the RR tracks. Now, for a pittance, the rest of the road can be widened, and Spanos can continue his sprawl. Spanos has already been granted the right to build 40,000 more homes out in this prime farmland. Will Spanos consider Smart Growth after he has this area all built out? Sure why not….. it will be years before he can build out all that he already has approved. These “paper lots” are worth more than most any other thing in Stockton. Why weren’t they thrown in to the bankruptcy court? The school kids can donate their future. The employees can donate their retirement. The cops can give up their positions. But, Spanos wasn’t touched. Stockton didn’t go bankrupt…. it was driven there by the “developers”. I think much of the opposition you see is a small, vocal group of very passionate, but poorly informed people who believe there’s a huge UN conspiracy to enslave them. They’re also worried that “the socialists” are building a freeway from the Mexican border to the Canadian border (you know, something like I-5). The goal of these protesters is to look much bigger than they are. Generally, you see all of them when you see the protest. There aren’t legions behind them at home, as many people wrongly believe. You mentioned Fresno. You would think, given what you saw, that Fresno would be hostile to high speed rail, but they have not had to even consider eminent domain to purchase any right-of-way to build the tracks or station there. They have found property owners willing to sell their property at market value. The city government there is very supportive of high speed rail.